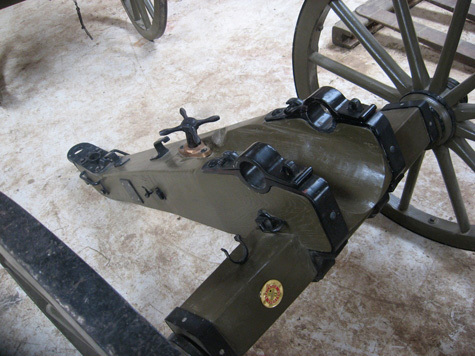 This is a version that has separate cheeks and looks generally like a scaled down #1 Field Carriage. 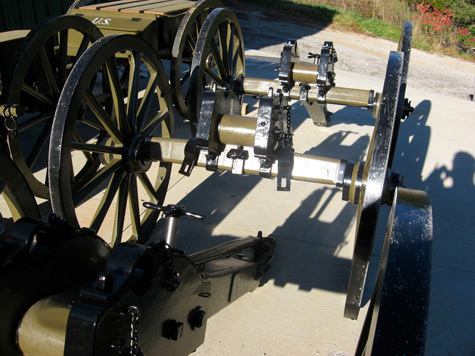 It fits Mountain Howitzer, 9 Pdr CS Gun and with slight modification the 2.25″ CS Mountain Rifle. The wood is Kiln Dried White Oak, has a solid axle for live fire and is made here in our shop.